Please join our weekly Saturday parkrun at 08:00. The launch date is Saturday, 2 February 2019 at 8am where you can meet Bruce Fordyce from Parkrun South Africa. It is a free 5km run or walk for all ages, or you can even be there only in a supporting capacity for the participants. 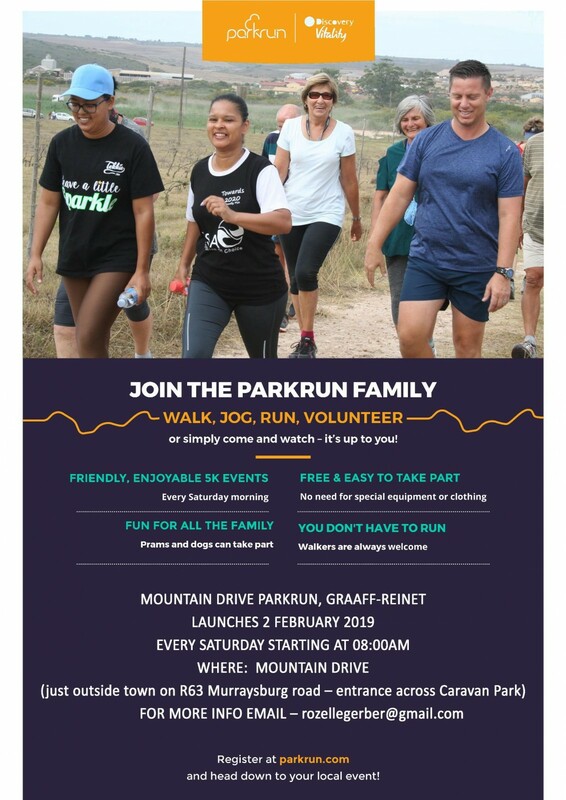 The parkrun starts at the entrance to Mountain Drive, opposite the Urquhart Caravan Park, off Stockenstroom Street.